Prints of Nelson’s artwork are on display at the Wilmington Public Library through April 1. Kadir Nelson, "Stickball Alley." The New Yorker, cover. Oil on linen. Kadir Nelson, "Nothing was the Same." Drake “Nothing was the Same" album cover. Oil on canvas. Kadir Nelson, "Miles Morales: The Spider-Man." Miles Morales: The Spider-Man, book cover. Oil on panel. The Wilmington Public Library got a visit from a renowned artist and children’s book author and illustrator Thursday. Kadir Nelson’s art has appeared on several covers of The New Yorker. 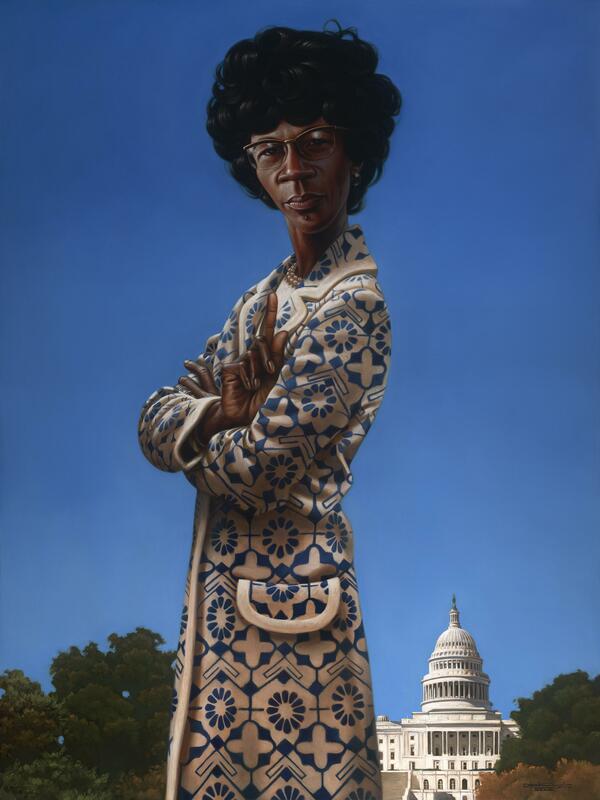 He did the cover art for Drake’s album “Nothing Was the Same.” His portrait of Shirley Chisholm, the first black woman elected to the U.S. Congress, is in the collection of the U.S. House of Representatives. Thursday, Nelson showed up at the Wilmington Public Library. He signed and gave away children’s books. He also talked with a group of more than fifty kids about his journey as an artist — beginning at the age of 5. “If there’s someone out there that wants to be an artist, it’s great to hear how someone became an artist. What their story was and the steps that they took,” said Nelson. Nelson says his books focus on stories of overcoming adversity. Nelson also illustrated the cover of “Miles Morales: Spider-Man,” a Marvel novel by Jason Reynolds. Kadir Nelson, R. Shirley Anita Chisholm, United States House of Representatives. Oil on canvas. Jamar Rahming, director of Wilmington Institute Libraries, says he thinks Nelson’s art depicts the nuance of the African American experience. “We have a constituency [at the Wilmington Public Library] that’s majority African American. And we serve children. So we need to provide venues and avenues to where these kids can see themselves in books, and see themselves in works of art,” said Rahming.